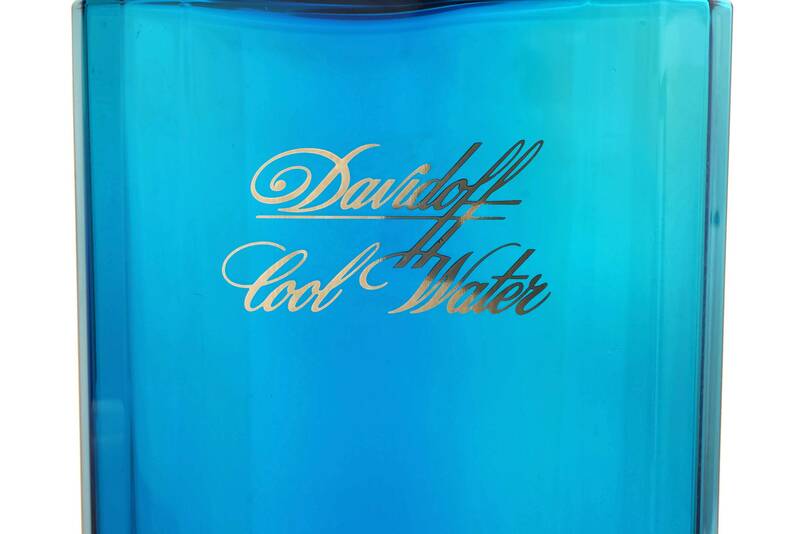 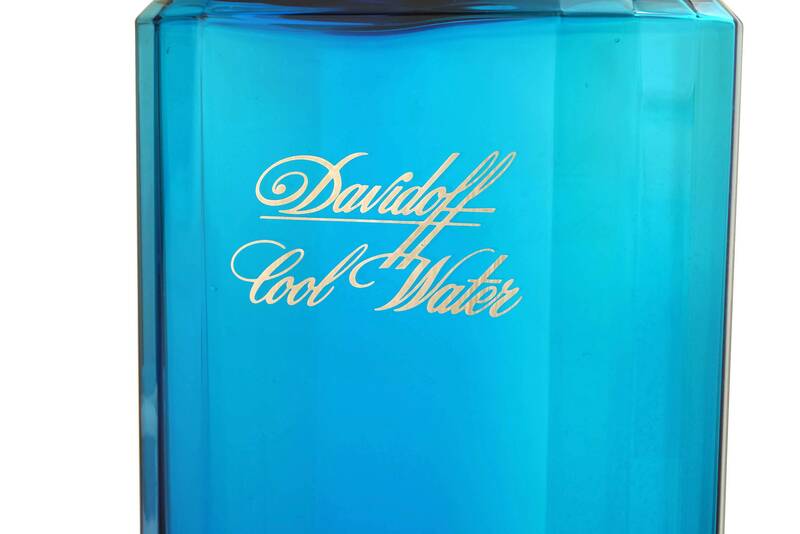 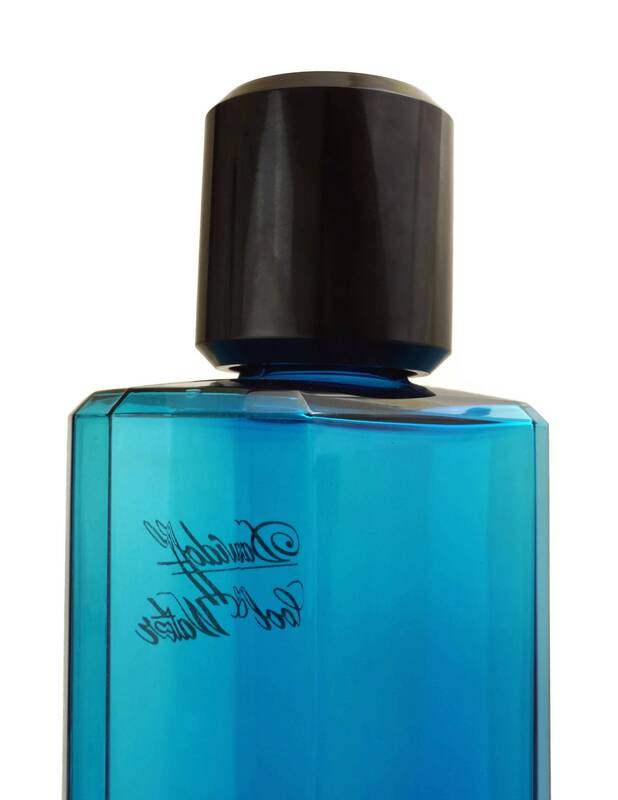 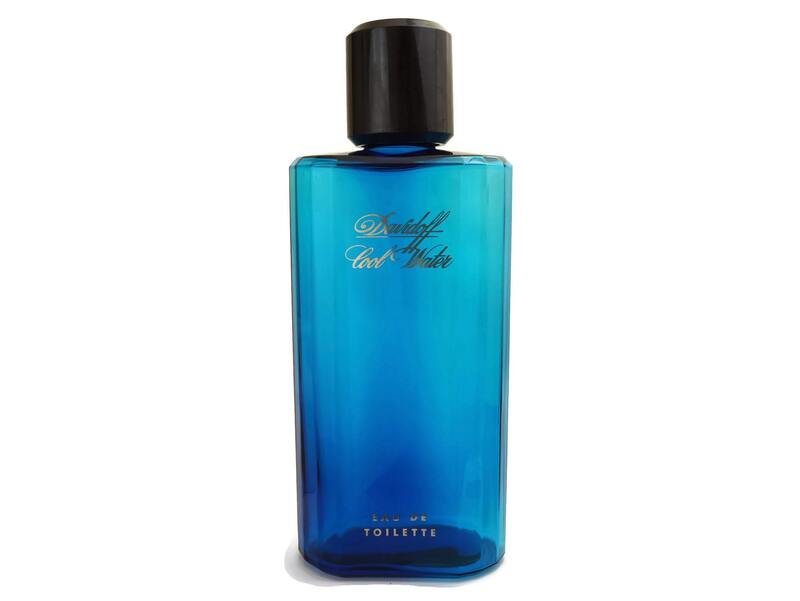 A giant sized vintage Davidoff Cool Water EDT factice bottle from the 1990's. 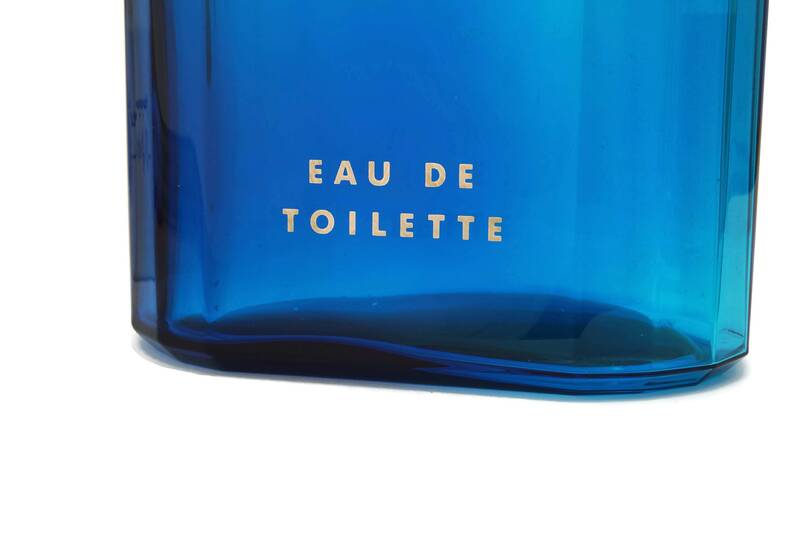 The large glass bottle was originally used as an advertising display in a French perfume store. 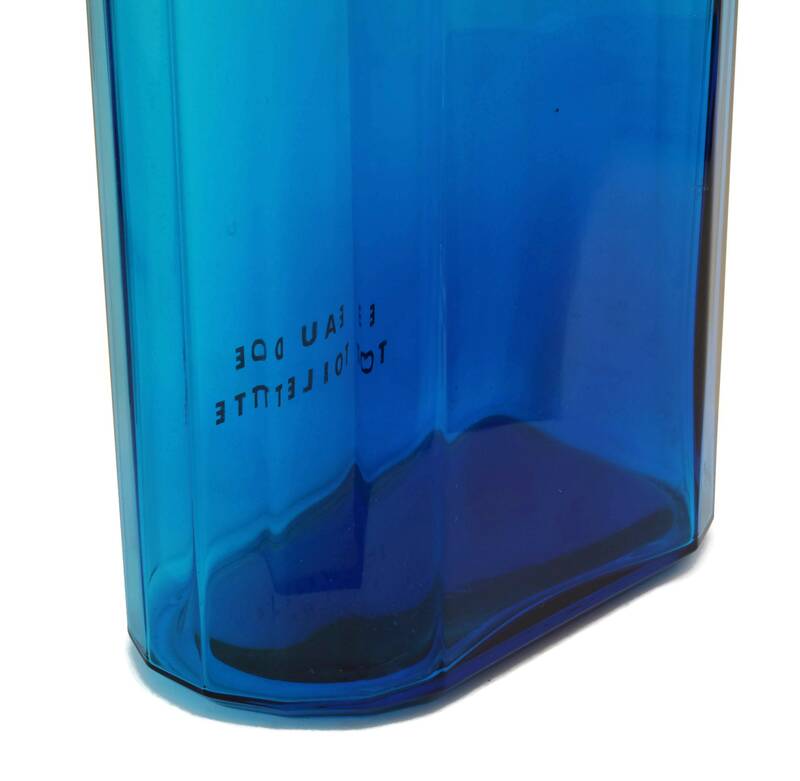 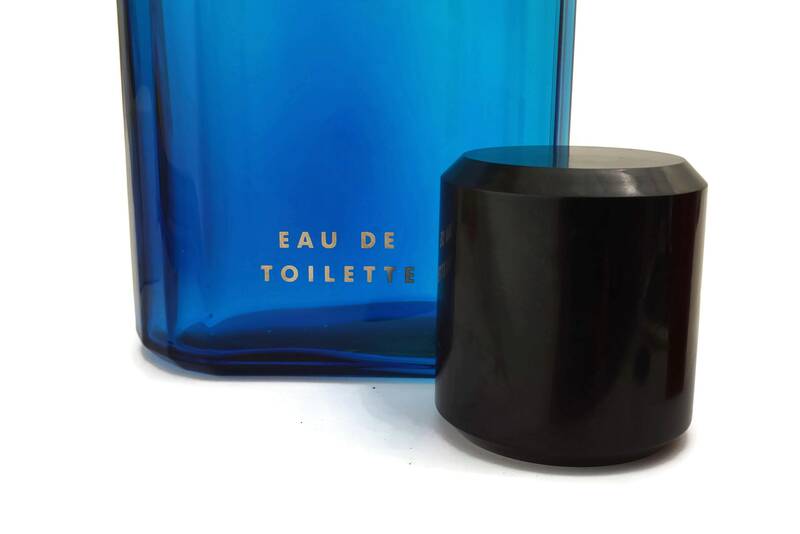 It has been manufactured from deep blue glass with an elegant faceted design on the sides. 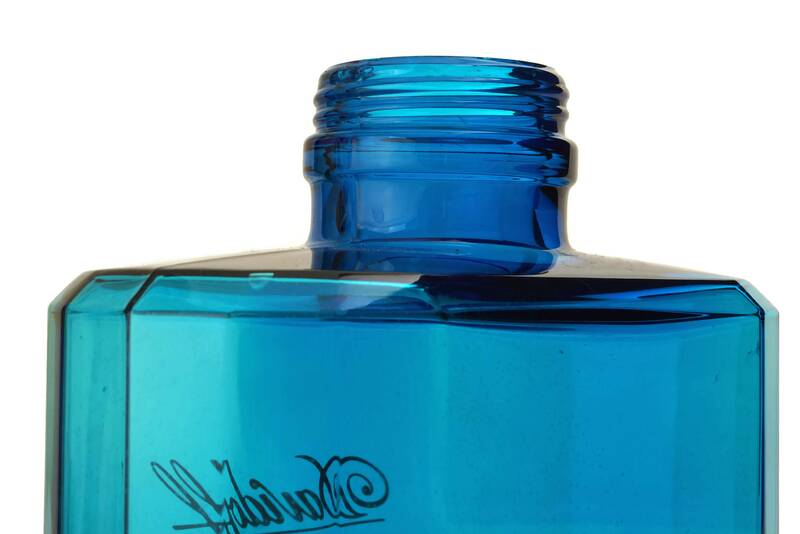 The bottle has its original black screw top lid. 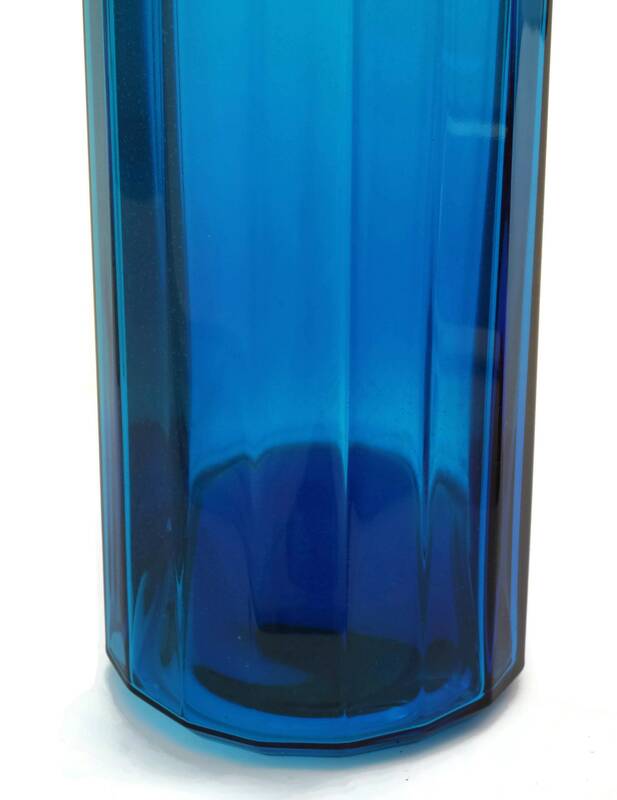 16" Tall x 7" Wide (40 cm x 18 cm). 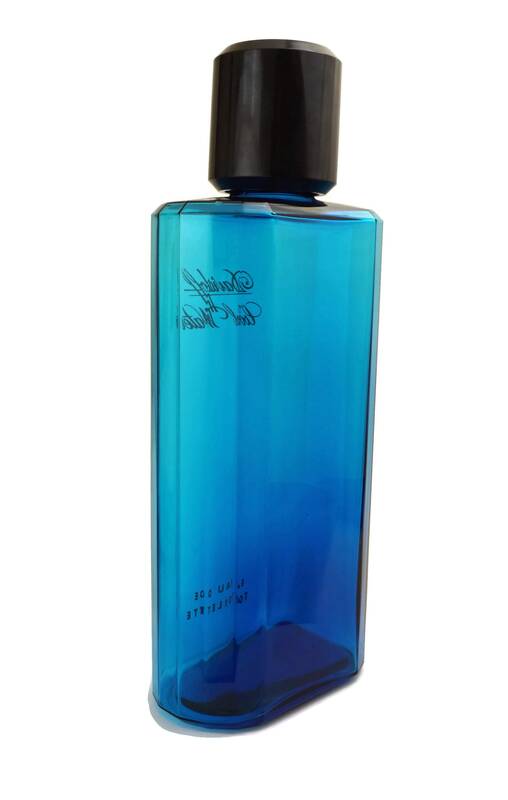 The large factice perfume bottle is in very good vintage condition.